When I first heard about the new matte 'bigger than BB' base in the office I've got to admit I didn't think I was going to be a fan. 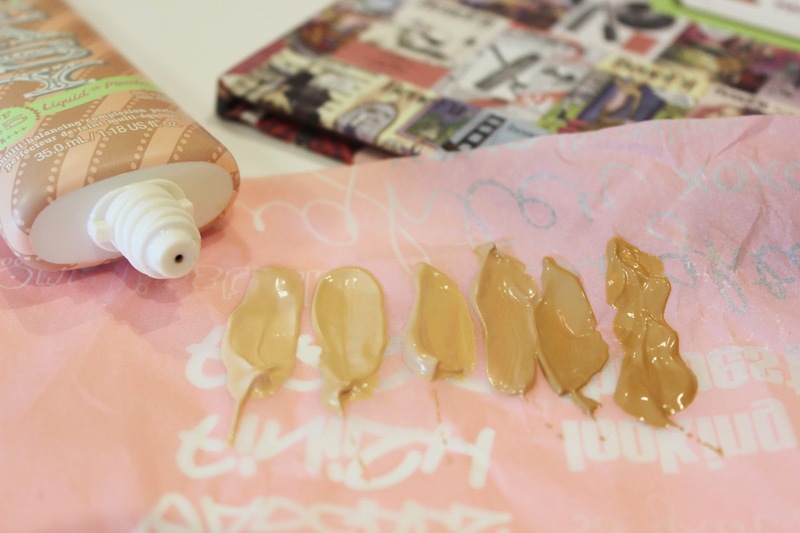 Having strived to create the perfect dewy base since I started wearing foundation and never really finding a BB cream I liked due to the low coverage, all the odds seemed stacked against poor Big Easy. Until I got my mitts on it and fell in love at first buff that is! 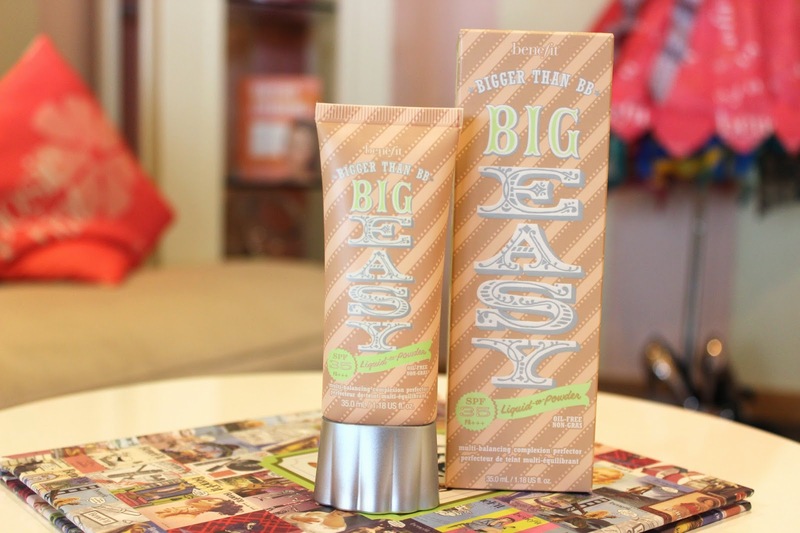 Because in actual fact Big Easy is a multi balancing complexion perfector that can be built up/down to achieve a good low or medium coverage and a beautiful skin like finish which lets you skip the powder and allows your natural glow comes through. I use shade 2 light or 3 light/medium depending how fake tanned I am and the colours adapt so well to my skin tone, making it incredibly easy (pardon the pun) to colour match yourself to one of the six shades. After applying this a variety of ways I've found it works best blended into the skin with the Real Techniques buffing brush- it's a super speedy way of getting your base on that doesn't leave a foundation film on top of the skin, making it a go to combo for those 'up and dash' type mornings. aka almost every morning. I've also found this wears really well throughout the day, still covering my multitude of skin sins by the time I get home with minimal top ups and zero setting powder thanks to it's liquid to powder formula which keeps oil at bay. The only thing I would say is to prep the skin with a good hydrating moisturiser first because the matte nature of this product may cling a little to any dry patches you may have. At £27.50 this obviously isn't the cheapest base out there, but I'd say it is the first product of it's kind and has the added benefits (again please pardon the pun) of SPF35, cute packaging and non-comedogenic ingredients. All in all I'm head over heels for this new offering from my beloved Benefit and it may well become a holy grail once the shine inducing sun hits...goodbye summer skin dilemmas! Have you fallen for big easy? This seems pretty perfect for me, I'm not really a fan of foundation but all the BB creams I've tried have proved a little pointless, this kind of middle ground might be something worth investing in for me!